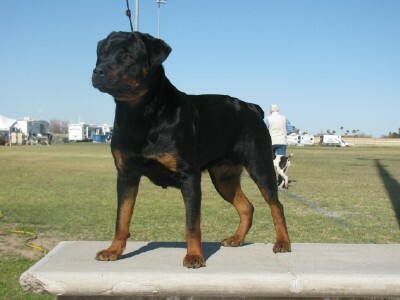 This breed is Powerful yet calm, trainable, courageous, and devoted to their owner and family. 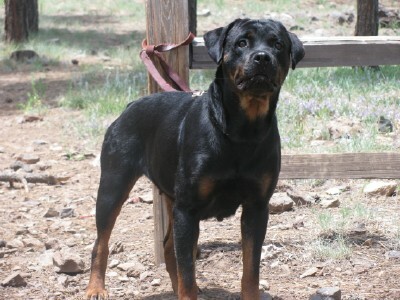 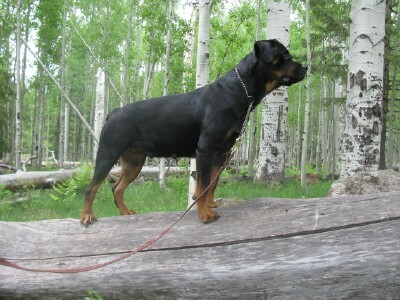 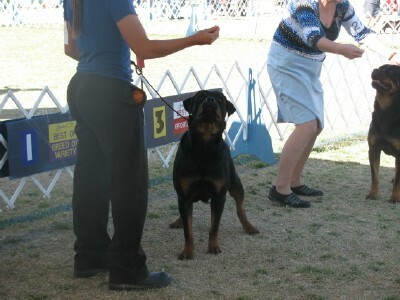 Loyal and protective, they will defend their family fiercely if needed, rottweilers have a high pain tolerance. 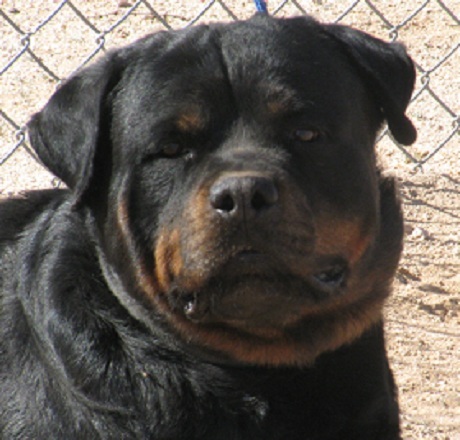 Serious, even-tempered, brave, confident and courageous, this breed needs an owner who is strong minded, calm, but firm and able to handle their massive size. 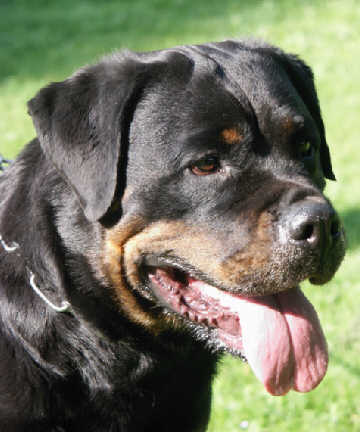 A docile, natural guard dog with a laid-back, reliable temperament. 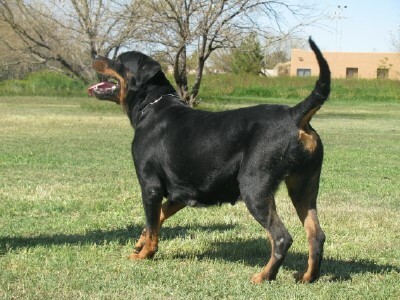 This breed excels in many fields of work including: police, military, search & rescue, personal protection, sports, and most of all their role as a family member.